The HTC Desire 12 and Desire 12+ was announced back in March, now HTC has launched both new mid-range Smartphone the HTC Desire 12 and Desire 12+ in India. 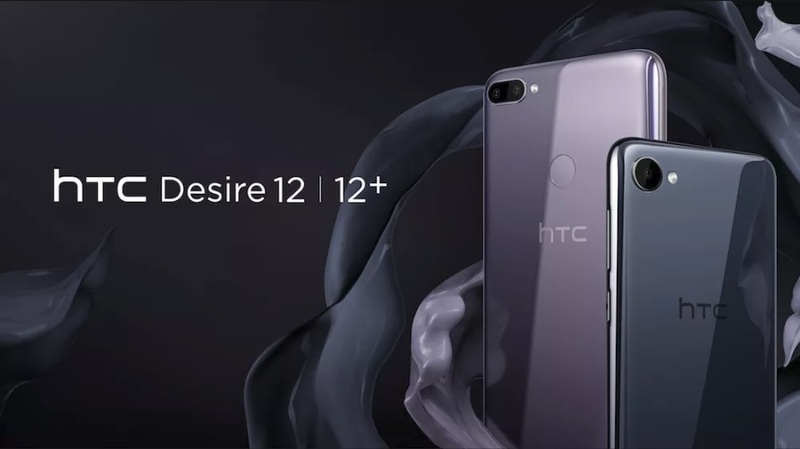 As some of its biggest highlights, HTC Desire 12 and Desire 12+ comes with a display with 18:9 aspect ratios, acrylic glass back surface, HTC Desire 12+ also comes with Dual camera setup. Both the new smartphone will be available both online and offline stores across the country starting this month. Both the smartphone comes with Dual Nano Sim card support. The smartphone features a 5.5-inch HD+ (720×1440 pixels) IPS display. The Desire 12 is powered by a quad-core MediaTek MT6739 SoC, coupled with 3GB RAM options. The smartphone has a 13-megapixel camera sensor with LED flash on the back including a f/2.2 aperture. On the front, there is a 5-megapixel BSI sensor with a f/2.4 aperture. The Desire 12 comes with 32GB of inbuilt storage, expandable via microSD card (up to 2TB). The handset packs a 2730mAh battery. HTC Desire 12+, on the other hand, runs Android 8.0 Oreo and it is powered by an octa-core Qualcomm Snapdragon 450 SoC, paired with 3GB of RAM. Includes dual rear camera setup on the back having a 13-megapixel BSI primary sensor and a secondary 2-megapixel sensor. Some camera features include Bokeh mode, Face detection, and Panorama mode. For selfies, there is an 8-megapixel camera sensor on the front with an f/2.0 aperture and features such as Beauty mode and HDR. The Desire 12+ comes with 32GB of internal storage that is expandable via microSD card (up to 2TB). The phone also has a fingerprint sensor on the back and it packs a 2965mAh battery. The HTC Desire 12 has been priced in India at Rs. 15,800, while the Desire 12+ has been priced in India at Rs. 19,790. Pre-orders for HTC Desire 12 and HTC Desire 12+ will start from June 7, 2018, exclusively on HTC India E-Store. The smartphones will finally be available for purchase in India from Monday, June 11.